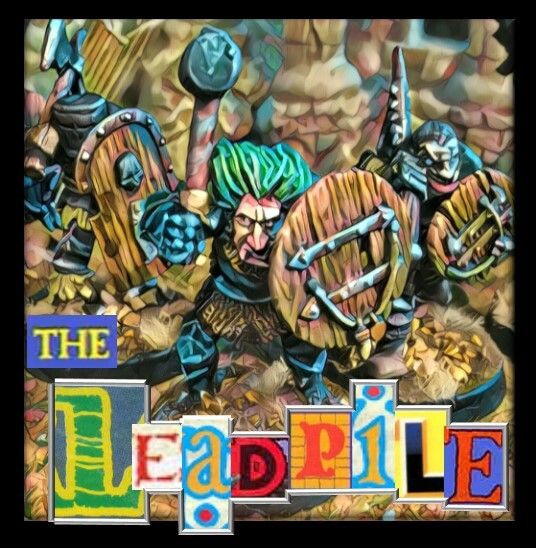 the leadpile: No looking back! Normally at this time of year, bloggers settle down in front of a roaring log fire with big pipe and a nice glass of single malt and review their year. My last year felt a bit all over the place, hobby wise, so I don't feel like reflecting on it. Despite butterflying all over the place I did manage to get a fair amount of figures painted but I felt the drain of a lack of focus. This year I'm going to do stuff differently. This year I'm going to try to plan out my hobby output. Want to hear what I'm thinking of doing? Course you do. 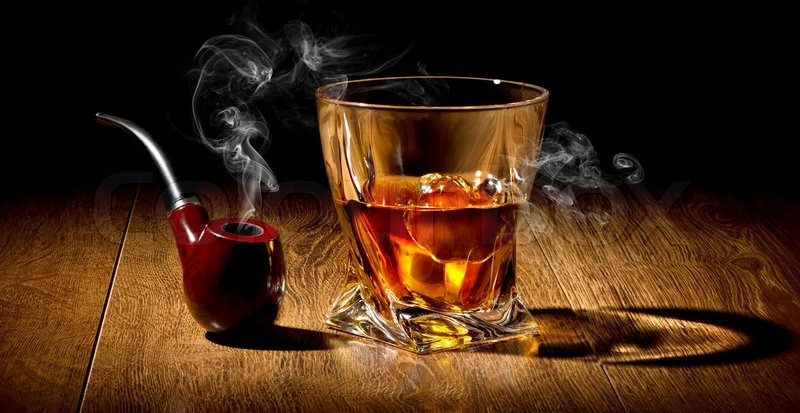 Grab a pipe and pour yourself a nip. Here we go! What I reckon caused the issue last year, was that I had no deadlines (apart from BOYL in august and the Lardy Weekend in September) which meant I was painting stuff aimlessly with no game set for them. This meant that, like christmas leftovers, I was picking at things and never feeling particularly satisfied. So I need to set myself some deadlines in order to motivate and focus my output. Like last year BOYL and, hopefully, a second helping of Clotted Lard will be two big dates on the Calendar but I need other stuff to keep me going. 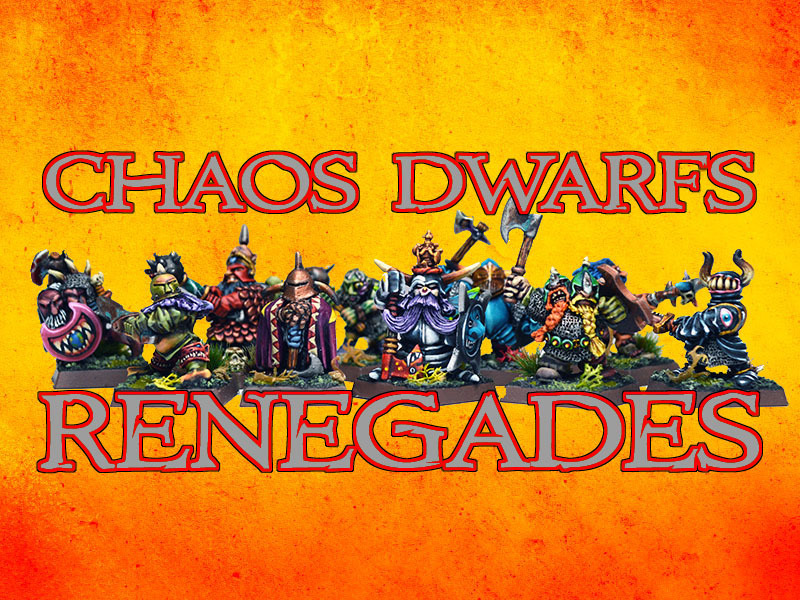 I'm not getting a lot of Oldhammer games in outside of BOYL (although I do manage to meet up with the Bunch in Exeter, the games don't require anything I haven't already got painted) which means that my Hobgoblin, Ork and Chaos armies will get things added to them when and if I've got time. 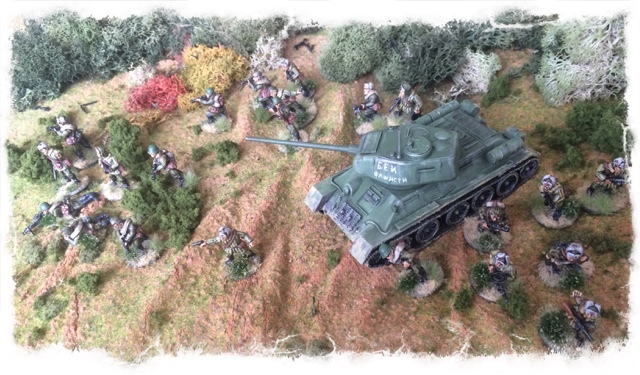 The games I am getting regularly are at the Exeter Wargames club every month and this can be an ideal focus on getting stuff done. The way it works is that every month people volunteer to put on a game for other members so that you may have 4 - 6 people playing a game that you are umpiring/refereeing/GMing (whatever you want to call it). I've run games a couple of times but also tend to get to play with other peoples toys a lot so I'm going to start volunteering my services a lot more. In order to do this I need to have toys for people to play with. 1) I've already volunteered to put a game on in January and I've decided to get the Dutch Revolt stuff out again. I want to add some more cavalry to the Dutch side for the next game. This will be about 12 or 13 Reiters and will give a decent sized cavalry force (3 groups of 8 plus a couple of officers) that can be played as single force if I attract more players. 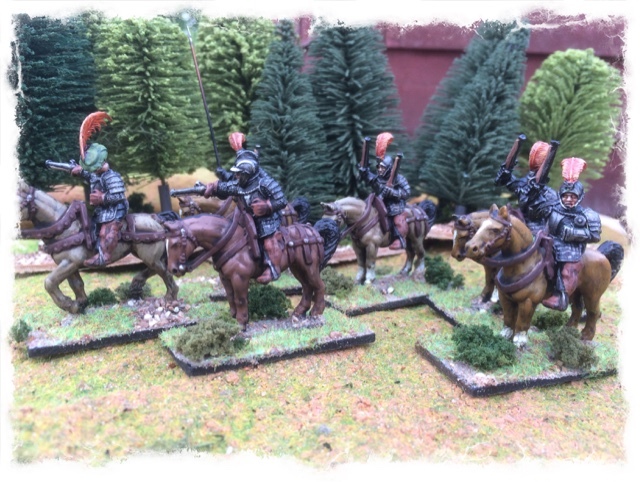 If I've got time I might do a small group of mounted Harquebusiers to round of the force. This should all be pretty manageable in the next couple of weeks and that will be my first target ticked off the list. No figures will need to bought so it's all good! 2) I then want to put on a game set on the eastern front in WW2 using Chain of Command. I was originally going to do this in January but decided there was too much to do so I'm aiming for February. I've already got a German Infantry Platoon painted and a Russian Tank Rider platoon done. To give a force for a 3rd and 4th player to join in I want to add a 2nd Stug III to the German side and then finish of a Platoon of Lend-Lease Shermans for the Russian side. The Shermans are more than half way done but I want to add stowage, crew and tankriders. In addition I've got some figures to paint up as tank hunters that I can do at the same time as the tank riders. I've also got some buildings to do for the game, some burnt out russian buildings and some detailing on the ones that are already built. Nothing needs buying for this either - awesome! 2b) Once that lots done it shouldn't be too hard to up grade that set to a 6 person game by adding another platoon of infantry to both sides. 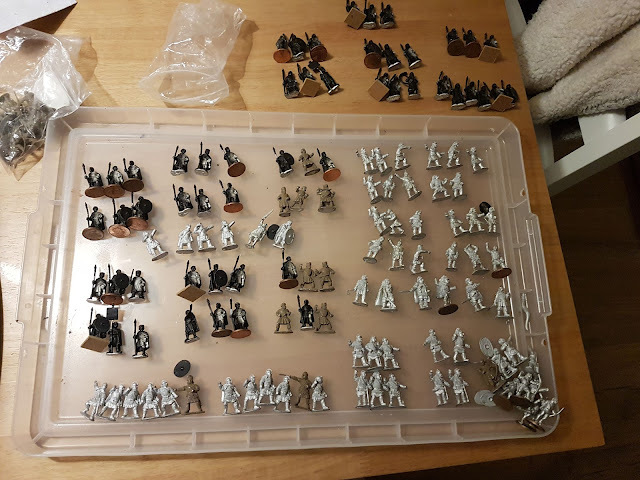 I have most of the figures already and only need a dozen rifle men for the German side and the same amount of SMG armed troops for the Russians. Artizan have some very nice new Russians as well, so well timed! Little bit of buying needed -hmmm. 3) WW2 again but this time in the desert. 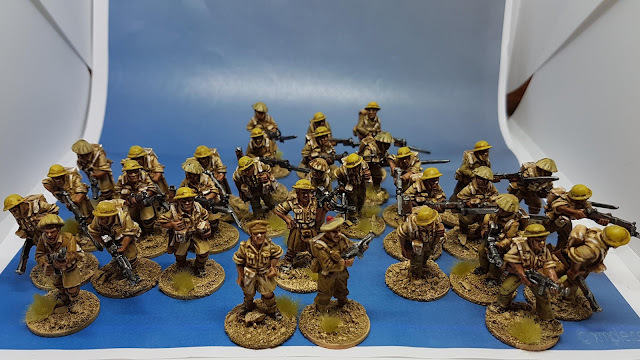 I've painted up my 8th army platoon (apart from the mortar and anti tank rifle and crews) so I need to paint some Afrika Korps (already bought ages ago) to go against them. Again I have the figures already so It's just a matter of getting stuck into them. Two platoons isn't going to cut it at a club game so I'll need to add some other elements for a 2nd player. My current thinking is rather than going for lots of tanks possibly keeping it to a single tank for each side but also giving them some armoured cars to play with (these'll cost me some monies!). This also has the added benefit of giving me new stuff to paint and different sort of game to play. Obviously there will have to be some scenery but I'm hoping the stuff that I make will be multi use. 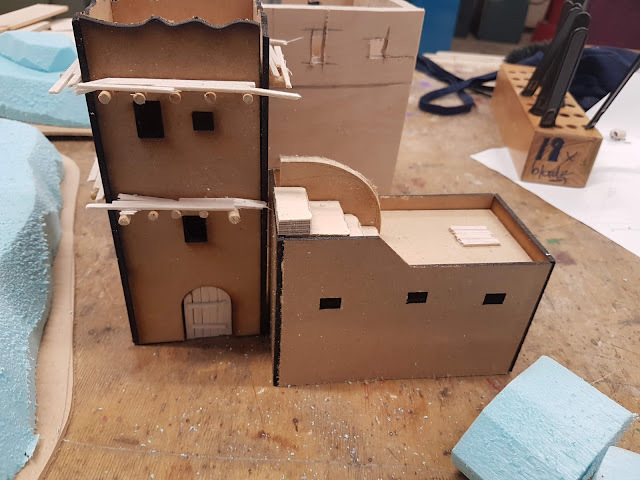 I've already bought a new mat and some of the buildings and 3d stuff I plan to make will be ideal for project number 4. 4) Project Number 4 is aimed at getting down for Clotted Lard so is fairly long term. I'm looking at 4 players at the moment and will be set in the wild, untamed land of the North West Frontier. The forces will be a Warband on viscous tribesmen led by a well educated bounder intent on lining his pockets as well as giving his majesties forces a bloody good hiding. Rather than being set in the reign of Queen Victoria, this game will be set between the wars, giving me and excuse to have all kinds of fun contraptions on the board for folks to play with. 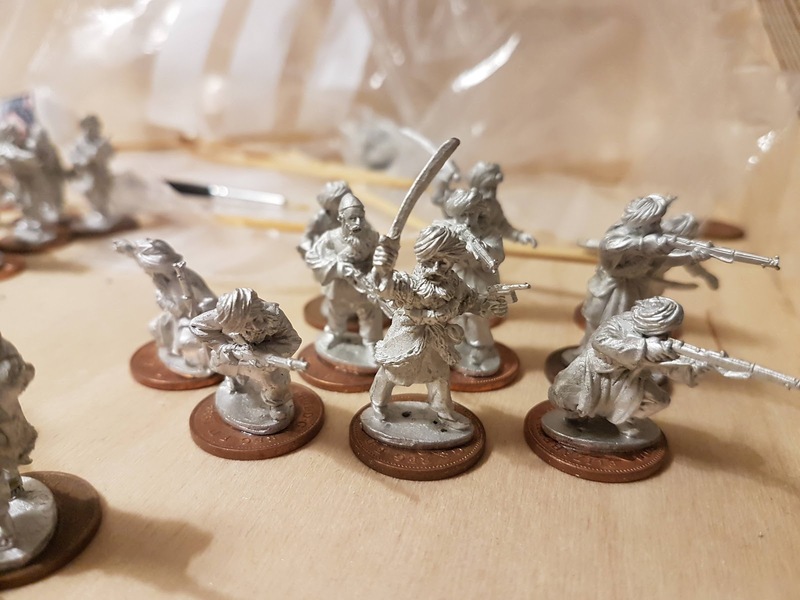 I'll be using the excellent figures from Empress Miniatures Jazz Age Imperialism range for the hill tribes and these doughty warriors will have some dastardly tricks up their sleeves. I haven't decided about the forces for her majesty yet but I'm probably going to swing for Copplestone's British and Indian figures (more money needs spending). Work has already started on a hill fort and some houses (the latter can be used in the WW2 Western Desert games) and I've been carving up foam and MDF to start making hills to cover the board in. They will hopefully give me some rocky outcrops and cliffs thanks to some scenery building tips I've picked up on LAF. 5) Finally I've been meaning to paint up a warband or two for Dux Britinarium pretty much since the rules came out. As is usual for hoarding wargamer types I've got loads of figs sitting about in a box being ignored. They are a mix of Crusader, Black Tree, Footsore and Gripping Beast. From what I've got already I think the plan is to build up to British/Post Roman Warbands plus a Saxon Warband. I need one or two figures and I'm there (obviously they need painting - duh). On top of this I quite fancy an Irish warband made up of more Footsore figures (yup more shopping). That'll give me four warbands that can be used in a variety of combinations. Two British Warlords break up a potential alliance between a Saxon Warlord and Irish Raiders? Rivals call in mercenaries in a bid to do away with the competition? Enough figures for 4 players and the option to play a campaign. The Dux warbands are organised in 6's so painting up a couple of groups at a time in between other stuff will soon see the warbands build up. 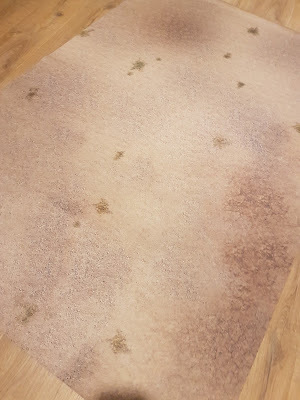 On top of these I've got an idea about a game for BOYL that will only require some scenery on my part (more of that in a later post). And i'll be squeezing in plenty of old citadel stuff in between projects as well as anything else that catches my eye. But there you go. Thats what I'm planning to get done. The idea is to have a bunch of 'games' that are ready to deploy for the club or if someone comes round the house for a game. 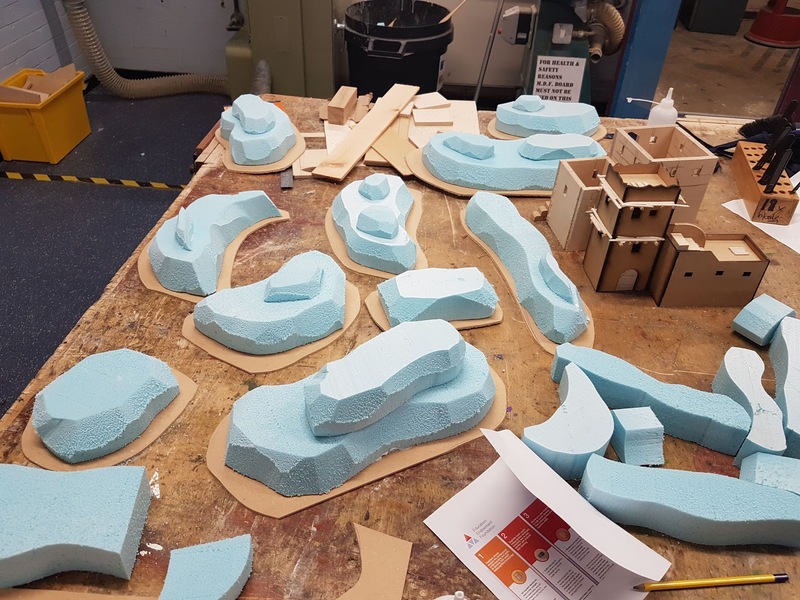 As much of the scenery will be dual use as possible. All this will need storing and transporting as well but that is a whole other story for another day. Have a great New Year when it comes and have a wee dram for me. It's good to have a plan. Your forces and tables always look good so I am looking forward to your future works appearing on here or at the club. Now, what odds can I get on you veering off target by February? Merry Christmas ya filthy animal! I think we are all guilty at having far too many projects on the go and suffering from the dreaded butterfly effect of flitting between stuff. Deadlines are certainly useful for focussing painting and terrain building. I've not yet managed to get to BOYL but I'm hoping to at least get a game in with my undead against some scaly lizardmen. Will have to sit down and work out my own priority list! That's an impressive array of projects. I do like the idea of having full game sets ready to go. I've been trying to do a similar thing, but at a much slower pace! A rather imposing to do pile. Best of luck, I would find so many imposing. Looks like a good plan. I like to look back, mostly to figure out what I forgot to do the preceding year. I also need to be more game focused I tend to paint random things and then not play with them. A good game plan is always a good place to start, I look forward to see what you going to do for BOYL? Nice to see a plan in place. 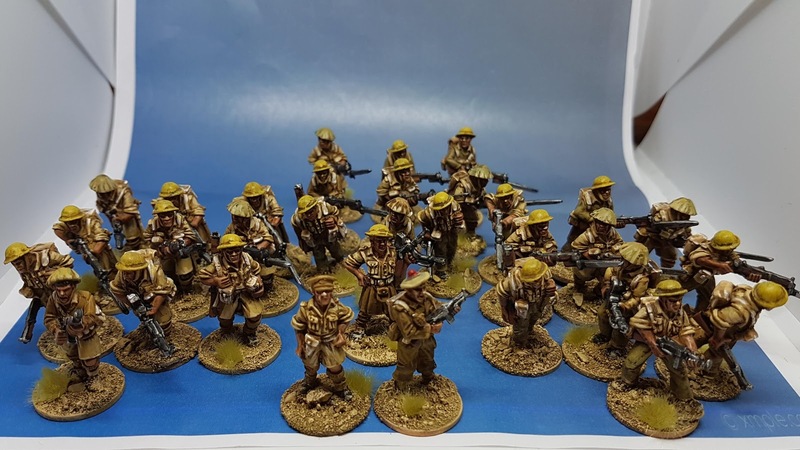 Always good to have targets the later part of this year has been rather poor on the painting front for me, looking forward to see how the NW frontier stuff takes shape. Are your Ranks just as smelly as your Flanks? A lot can happen in 4 weeks!